My final foodie adventure in the Triangle area concludes with Kashin, a Japanese restaurant in Cary. It’s rather well-hidden (and slightly difficult to find! ), located close to Grand Asia supermarket in a strip plaza. I’ve heard that Kashin is famous for the ramen – apparently the noodles are made in-store, not bought, so my dining companions and I decided that we definitely needed to try the ramen dishes. There are two varieties: shoyu ramen (shoyu = soy sauce), which is a soy sauce based broth, with pork slices, and miso ramen, which is of course miso-based with chicken. I chose the miso ramen, since it had corn (and some of you dear readers might know of my love for corn), and my friends chose the shoyu ramen. Since we were quite hungry, we also ordered an appetizer: the hiya-yakko. If you remember from the Waraji post, hiya-yakko is a chilled tofu dish served with bonito flakes, diced green onion, and soy sauce. 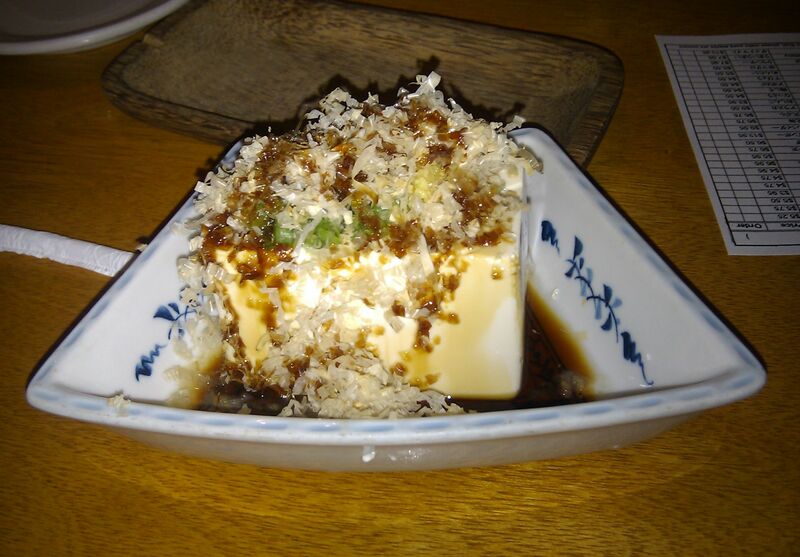 It was really good – Kashin used soft tofu, as opposed to the firm tofu at Waraji, which made a huge difference. As for the ramen? It was indeed wonderful. The miso-chicken broth was absolutely delicious – the sweet corn balanced out the salty miso very well, and the noodles had just the right texture between softness and chewiness. 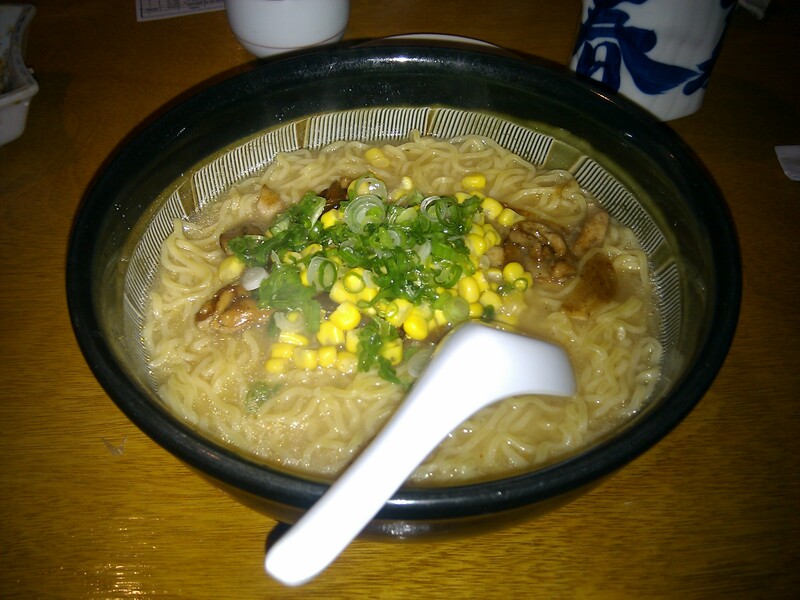 As expected, there was very little meat, haha, but nevertheless it was a huge bowl of noodles and soup. I also tried a bit of the shoyu-ramen, and I must say, it was not as good as my miso-ramen – mostly because it was too salty. It really needed some aji-mirin to balance out the saltiness.. but the first few sips of the soup were also really delicious. The ramen was not expensive – $9.50 each at dinner pricing. We didn’t try anything else as there was entirely too much noodles. I have heard, however, that the sushi here is not as good as Akai Hana’s or Waraji’s, so just stick with the ramen would be my advice – you won’t regret it!